Before we had what we now call the cloud, there were services we now call cloud backup services that had been backing up other people’s data over the Internet for several years. Technology has come a long way and many more people are now considering backing up their data to the cloud, and they find themselves asking a number of questions. Just how much data can you backup to the cloud? How does a cloud backup vendor handle large restores? Will it take weeks to restore my data? What about security? 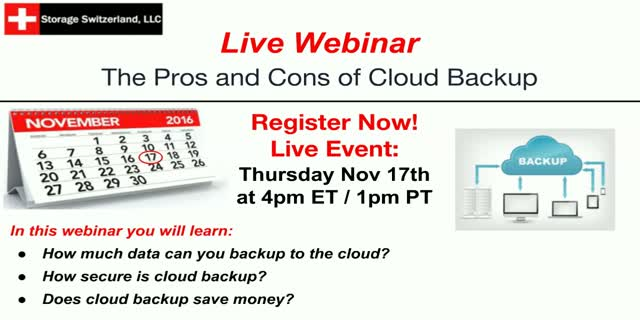 Does it make financial sense to backup to the cloud, or is it just en vogue to do so? Could I actually save money by backing up to the cloud.